Reposted with permission from A Curious Faith, a blog of Hudson River Presbytery. I vividly remember seeing the ads as a child; a polar bear floats alone on a solitary iceberg, adrift amidst an endless sea. For many, this iconic image still indelibly marks Earth Day appeals. Yet, despite its staying power, this visual badly misrepresents what is truly at stake in our climate crisis. This isn’t because polar bears aren’t badly threatened (they are), but because it portrays ecological catastrophe as something far away—a distant concern felt in the Arctic but not in our communities. Nothing could be further from the truth. One need not travel to the polar circle to find environmental devastation, we see the defiling of God’s creation all around us—and its horrendous impact on the world’s most vulnerable people. Instead of bears, picture Flint, Michigan—whose lead contamination is worse than when it occupied headlines two years ago. Look at Cape Town, a city of 3.78 million people, projected to run out of water within the year. Envision Minden, West Virginia—a town so toxicly polluted that one resident reported, “Every neighbor I’ve had has died of cancer.” These are the images that should occupy our minds, and yet these tragedies are woefully underreported—their suffering sinfully ignored. The other reason the polar bear image is so woefully inadequate, however, is that it only portrays ecological collapse; it doesn’t show the incredible ways that impacted communities are organizing to save both themselves and our planet. If we truly heed the gospel message, we can’t simply weep over images of ecological crucifixion—we must join the resurrection unfolding all around us. We must follow indigenous communities, placing our bodies between corporate greed and sacred wilderness. We must join movements like the Poor People’s Campaign—which names and confronts the ecological devastation’s interconnectedness with racism, poverty, and militarism. We must stride boldly upon the Earth, marshalling whatever forces we can muster in its defense. But, as Presbyterians, we must begin by getting our own house in order. It is egregious and unacceptable that—despite fossil fuels’ clear and present threat—our Church has still not divested itself from ongoing evil. This summer, we have another chance to do precisely that—to take the first step towards aligning our church with those struggling on behalf of people and planet. And we need your help. 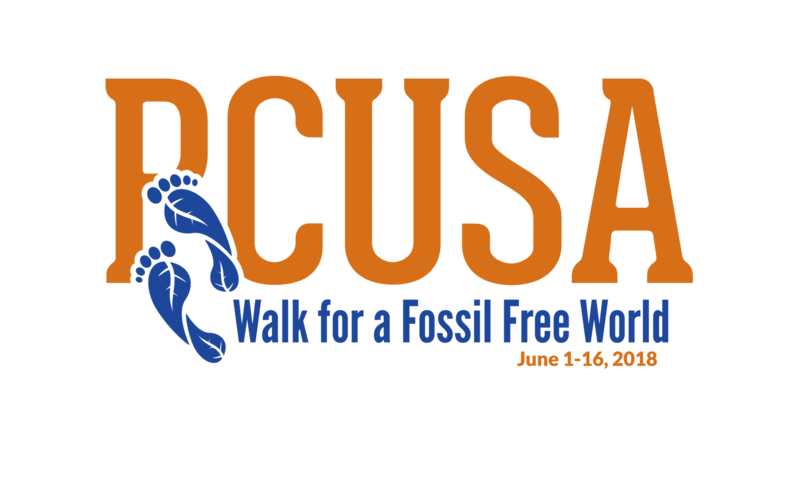 If you’re able, please join the Walk to Divest. This prophetic journey from the Presbyterian headquarters in Louisville to this summer’s General Assembly in St. Louis is an opportunity to pray with your feet, and to call our Church to follow God’s call in this most dire moment. With luck, our children will not associate the climate justice movement with polar bears, but with courageous communities living into right relation with one another and our world. Ben Perry is the Assistant Director of Communication and Marketing at Union Theological Seminary in New York City. Next PostNext Calling All Walkers!